Stubbs Farm is currently home to 30 alpacas in South Norfolk, UK. Established in 2016, our journey is relatively new and we are absolutely loving the beauty and individuality of each animal we own, and watching them in their daily lives. We are keen to see the continued improvement of quality within the national herd and therefore we will aim to make informed breeding choices in an effort to improve the quality of our own animals and any future offspring. 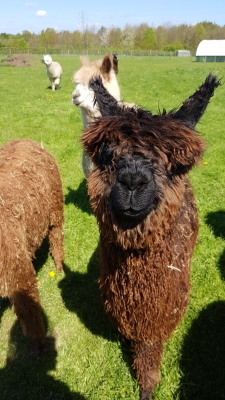 Please feel free to browse our website to learn more about our lovely alpacas and the ways in which you can come meet them! 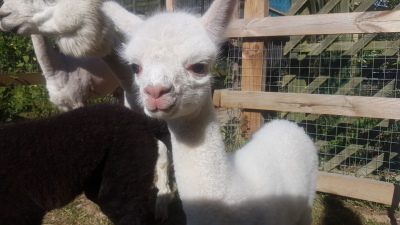 If you have an event coming up, whether it be a birthday, an anniversary, a hen party, wedding or really just any old day - we are offering you the chance to hire some of our alpacas to come to you! Price dependent on what you require - will discuss all options with you! We would bring a group of 2-5 alpacas to you, with all their favourite treats for you to feed them. You can meet them up close, take all the photos you want and really get to know them. Essentially, it is the same as our experience days on farm, just brought to you instead! If you have the appropriate setting, for an additional fee we can include taking them on a short walk together as part of the experience! This is a fantastic way to have some one-on-one time with a specific alpaca, and great for photographs too! All we ask is that you have some sort of outdoor space that we can set up the pen in and sufficient nearby space to park the car and trailer. Happy to come and view the venue prior to booking to talk through logistics. For any questions, further information, availability etc please don't hesitate to get in touch! Would be happy to talk it all out with you.